Hi everyone, Steph Ackerman here today. By now you know that eclectic Paperie is closing it's doors. That also means the end of the blog and the design team. While I've only been on the team a short while, I have really enjoyed working with this team and have loved the wide variety of products available in the store. This was the very first project I created for eP and I had so much fun creating it - the stencils, the stamps and assorted Art Anthology paints were so much fun to work with. 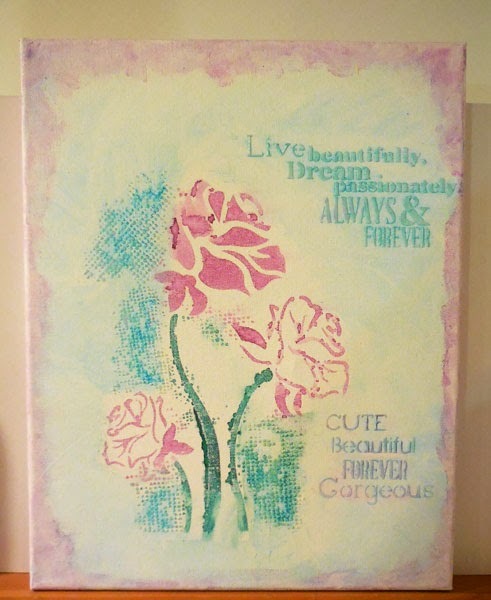 This canvas uses a large Prima stencil, some molding paste and Art Anthology paints. 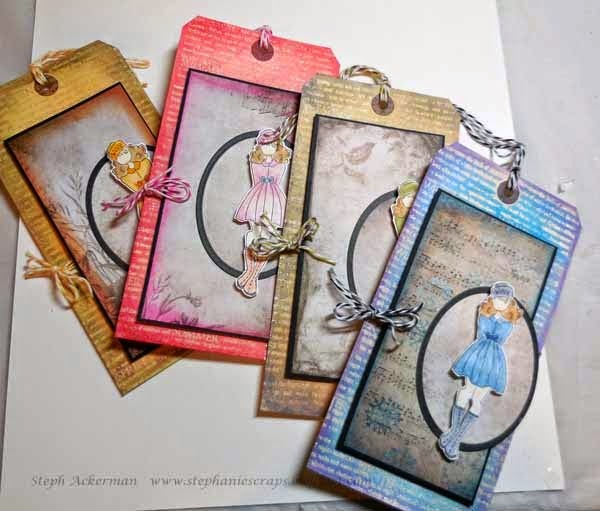 And a fun use of the same stamp to create tags for all seasons with Gelatos. 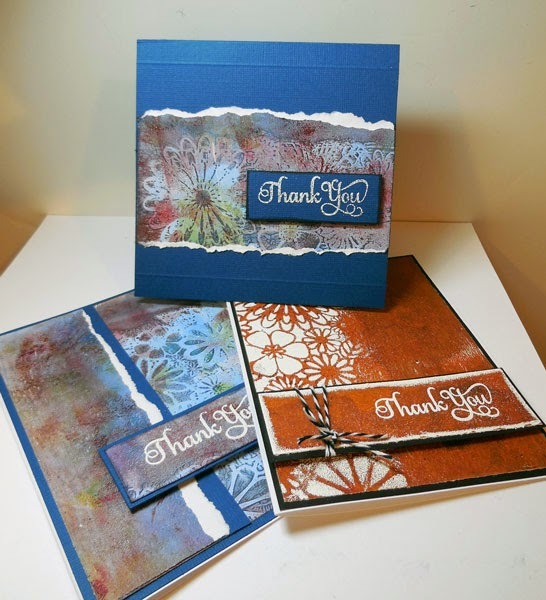 I loved creating these cards with Art Anthology paints, a Gelli Plate and The Crafter's Workshop stencils. And I just wanted to shout out a big thank you to Kim for giving me the opportunity to work with her and this amazing design team. This has been so fun seeing an assortment of the wonderful projects each of us has done over time - these are all lovely and so creative Steph!